Set in the delightful village of Oughtibridge, Julio's is a multi-culture restaurant,owned and run by Ignacio Rodriguez. With off street parking to the rear of the restaurant, during the day the charming continental style ground floor café offers a selection of snacks, light meals and drinks, with a number of Mexican dishes for the more adventurous diner. Come night time, the delightfully decorated upstairs restaurant offers a full menu featuring authentic Mexican, Spanish, Italian and English dishes. By using the very best locally produced ingredients, the menu feature a wide range of pastas, risottos, chicken, steak and seafood dishes, available in a variety of different styles and flavours. In addition to the extensive menu, there are always exciting options on the impressive 'Specials' board. This features both dishes prepared from in season, locally purchased, alternative ingredients as well as fresh fish choices. As every dish is prepared 'to order', the freshness of taste, which is the trademark of Julio's food, is guaranteed. The relaxing yet intimate atmosphere of Julio's, combined with the personal attention that everyone receives, ensures that every diner's visit is a delight from start to finish. As virtually everything can also be ordered as a take away, it is also possible to enjoy the taste of Julio's in your own home simply by calling the restaurant with your order. Single diners, couples, families and groups are all made welcome at Julio's with provision made for vegetarian preferences. 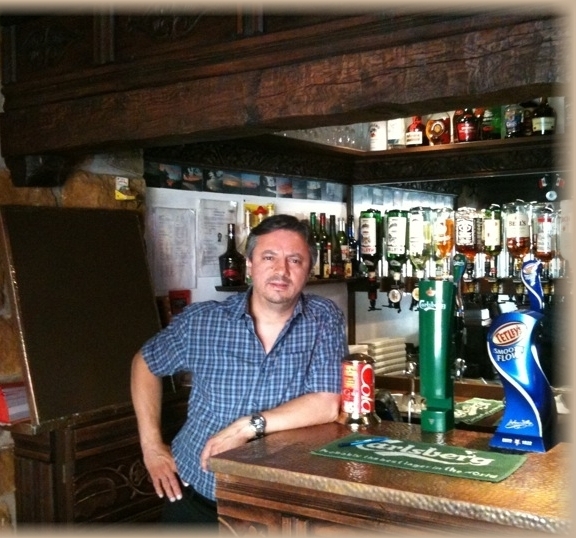 Everyone is subject to the special, warm and homely atmosphere for which Julio's is renowned. Julio's is the result of Ignacio Rodriguez's dream of owning his own restaurant which features the finest examples of the dishes from the countries where he has perfected his culinary skills. From his birthplace in Mexico City, Ignacio has traveled around Europe, working in kitchens in Italy, Germany, Greece and Spain before settling in South Yorkshire. After managing several of the leading restaurants of the area, Ignacio has fulfilled his dream of creating a family oriented restaurant which truly represents the cuisines of Mexico, Italy, Spain and England. Ignacio named the restaurant Julio's as an affectionate tribute to his grandfather who was the owner of two successful restaurants in Mexico City. Julio's is fully licensed and offers a very comprehensive range of wines, specially selected to compliment the fine food of the menu. If you prefer, there are excellent house wines or bottled beers also available. Naturally, you can finish your meal with a speciality Liqueur Coffee to complete your unpretentious yet delicious meal.